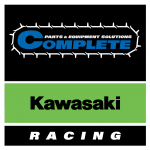 Modern exhaust after treatment systems require control in regard to efficiency and component protection. 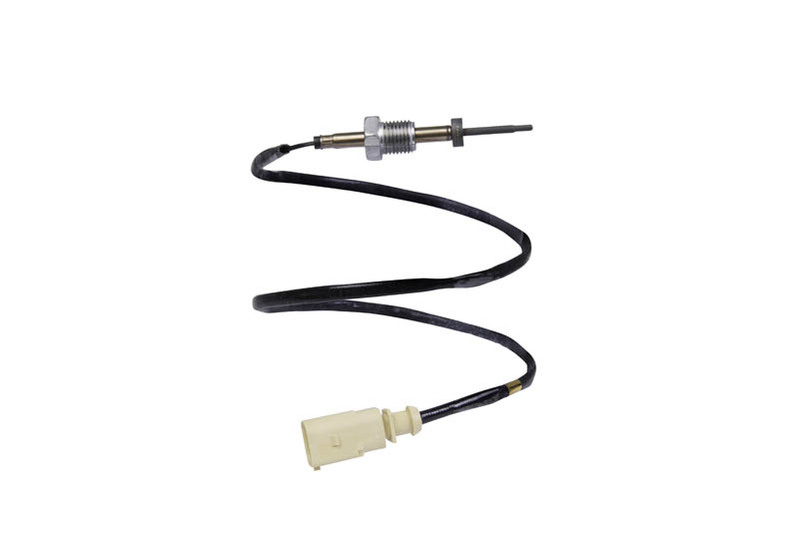 The exhaust temperature sensor serves as a temperature monitor for turbochargers, catalytic converters, diesel particle filters and nitrogen oxide reduction systems. It is used for monitoring the optimal operating point as well as for potential protection of temperature overload of the relevant components, thus making it an important component for the reduction of unnecessary harmful emissions from vehicles. catalytic converters, diesel particle filters and nitrogen oxide reduction systems. It is used for monitoring the optimal operating point as well as for potential protection of temperature overload of the relevant components, thus making it an important component for the reduction of unnecessary harmful emissions from vehicles. The newest generation uses a thermistor element in the tip of the sensor. The thinner structure of newest sensors guarantees shorter response time than previous generations and other technologies on the market. Furthermore, the temperature range is wider than ever before. 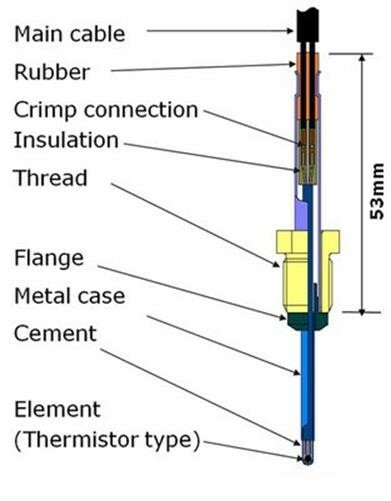 NTK’s 4th generation exhaust gas temperature sensors are able to measure temperatures from -40°C up to 900°C.The sensor’s small size ensures low weight and the powder-filled element support guarantees high vibration resistance. The element is protected by a metal tube – this gives protection against melting. The Exhaust gas temperature sensors by NTK have a specific design in order to meet the extremely high temperature environment in which the product is working. To fit into the tight layout, NTK has designed a bending design line-up. Due to this design, the components with low heat resistance are kept away from the heat source. Acceptable angle of a bending type sensor is 0 to 110 °. extremely high temperature environment in which the product is working. To fit into the tight layout, NTK has designed a bending design line-up. Due to this design, the components with low heat resistance are kept away from the heat source. Acceptable angle of a bending type sensor is 0 to 110 °.